This Purple Leotard I won at an eBay auction in 2004. Seller was joelycra, and it was given this description at the auction: SHARP!!! 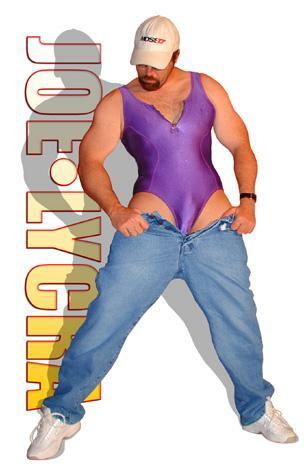 You are bidding on a Glossy Lycra Spandex Workout Zip Leotard made by The Body Co!!! Size is Medium. Glossy, bright Purple Spandex with Red stitching hugs every curve!!! Gold 5 inch front zipper with ring pull. Tank style with full seat!!! Comfortable and stretchy spandex. Unlined!! Hot with Jeans! Excellent condition! !